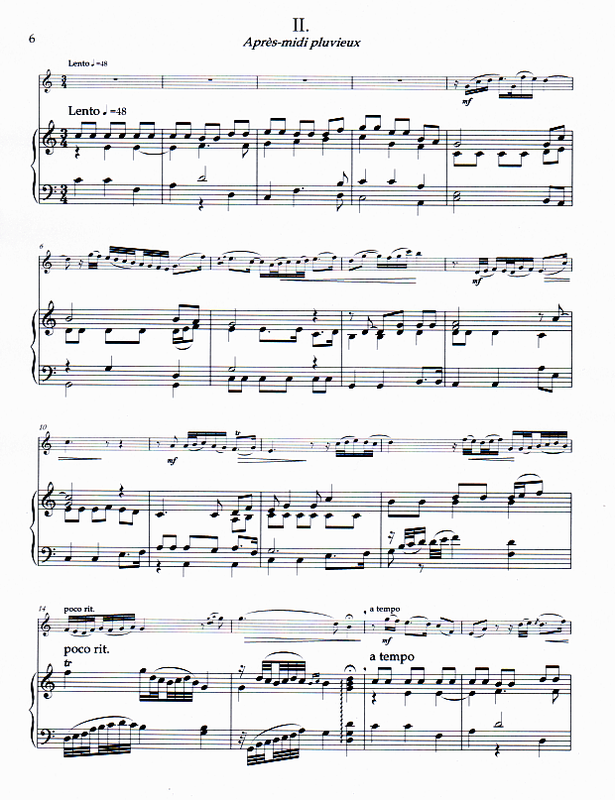 Sonatina in F for Recorder and Harpsichord. 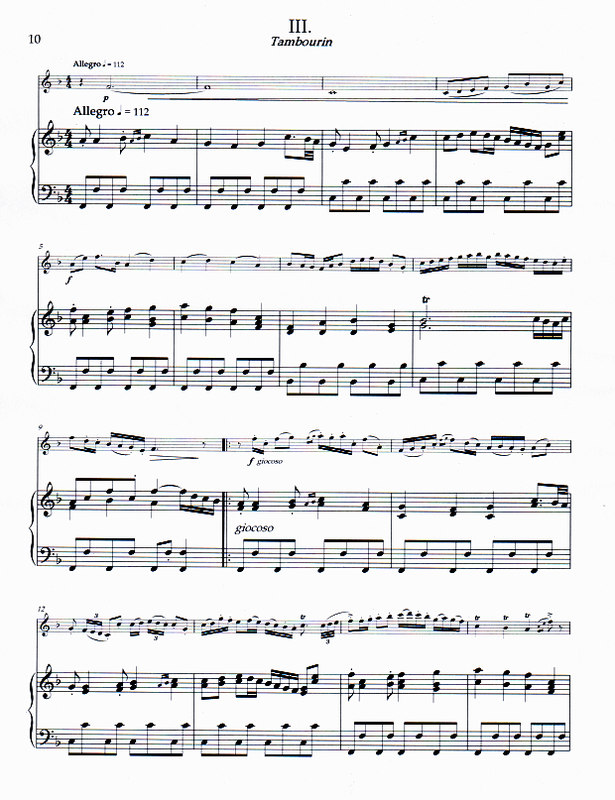 A mirthful sonatina for soprano recorder and harpsichord dedicated to French recorder virtuoso Marion Fermé. 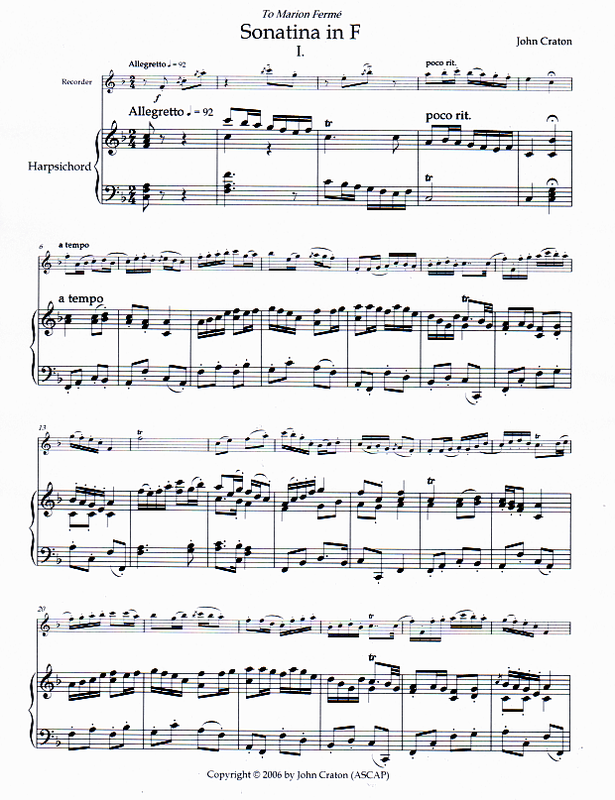 Possessing a strong Baroque influence, it consists of three movements: Allegretto  Andante  Allegretto; Lento (Après-midi pluvieux); and Allegro (Tambourin). Performance Time: App. 9 min.